Event Inc is Europe’s leading online marketplace connecting businesses to great spaces. Your company’s christmas party, an offsite, a conference or meeting, whenever you need a space away from your office or home, Eventinc will help. Every month we assist hundred thousands of businesses and companies in seeking and booking venues and spaces. The foundation of our success lies in our world class team of 70 people in Hamburg and a happy customer base. In 2019, we will expand internationally with 5 more countries across Europe and America. Join our team in our Hamburg office and be the first to launch Event Inc Spain. 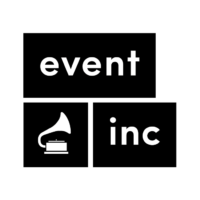 Be an Event Inc pioneer in Spain and use our strong base: Eventinc’s web application and worldwide best online marketing skills to establish a happy customer and location portfolio in Madrid and Barcelona. It´s your mission to find the best and hottest spaces and make them part of the Event Inc portfolio. Your sales skills will easily convince venues and spaces to work with us on a commission basis. You love adapting to different environments when speaking to a space owner or manager: From an underground electronic club owner to a costume wearing hotel manager, you address their requirements and styles accordingly and with joy, whether it´s on the phone or in person. Also you are happy to onboard our clients and help them with their online presence on Event Inc.
Additionally, you will take care of awesome content on our homepage, building SEO pages and backlinks. You are a trustworthy, honest and reliable. Great team culture in Hamburg who will help you with literally anything. Sounds exciting? Apply now and send your application to job(at)eventinc.de. Your point of contact is Lea. We are looking forward to hearing from you!